Between Juan-les-Pins and Antibes, Cap d’Antibes is a millionaire’s playground. Bristling with luxury villas with swimming pools surrounded by Aleppo Pine trees and with hotels on the edge of Cap d’Antibes and the seafront. 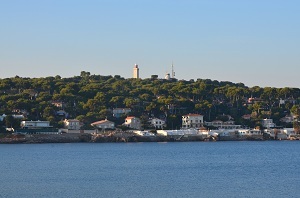 Visitors love to wander around the sumptuous surroundings of Cap d’Antibes. 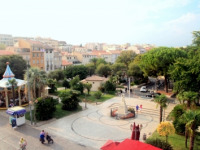 The best way to explore this area is to rent a holiday home in Cap d’Antibes, preferably rented directly from the owners. The environment of Cap d’Antibes has been carefully preserved,to explore the beautiful countryside, we suggest you take the coastal path from Plage de la Garoupe. You’ll travel along the route used by the customs men in the past, you can enjoy the lush vegetation, the little streams where you can stop to cool off and the beautiful luxury mansions. You can even get close to the famous Cap d’Antibes hotel, the Eden Roc which welcomes famous people from all over the world. During your summer holiday in Cap d’Antibes, don’t forget to visit the gardens of Ellenroc Villa, which is owned by the town of Antibes and open to the public. You could also see the Garoupe lighthouse (visitors cannot see the interior). If you like sandy beaches you can go to Salis which is just by the entry to the Cap in the Antibes direction or to Juan-les-Pins near La Pinède. 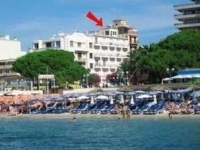 This accommodation (10 m²) is for 2 people. It is located in the area of Antibes (Provence-Alpes-Cote d'Azur in France). This holiday property is composed of : Shower room, Shower room with toilet. Pets are not allowed. 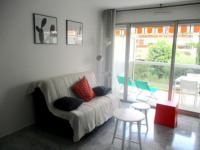 This accommodation (36 m²) is for 4 people. It is located in the area of Antibes (Provence-Alpes-Cote d'Azur in France). This holiday property is composed of : Kitchen, Shower room, Shower room with toilet, Living room. Pets are not allowed. 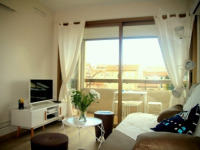 This accommodation (33 m²) is for 4 people. 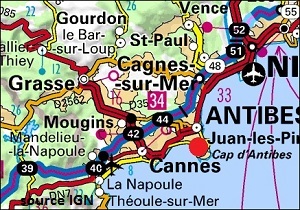 It is located in the area of Antibes (Provence-Alpes-Cote d'Azur in France). This holiday property is composed of : Shower room, Separate toilet, Living room. Pets are not allowed. 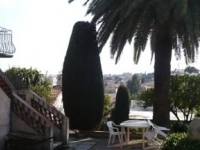 41 m² holiday accommodation for 7 people, located in the town of Vieil Antibes (Provence-Alpes-Cote d'Azur in France). This holiday property is composed of: Kitchen, Bathroom, Bathroom with toilet, Living room.